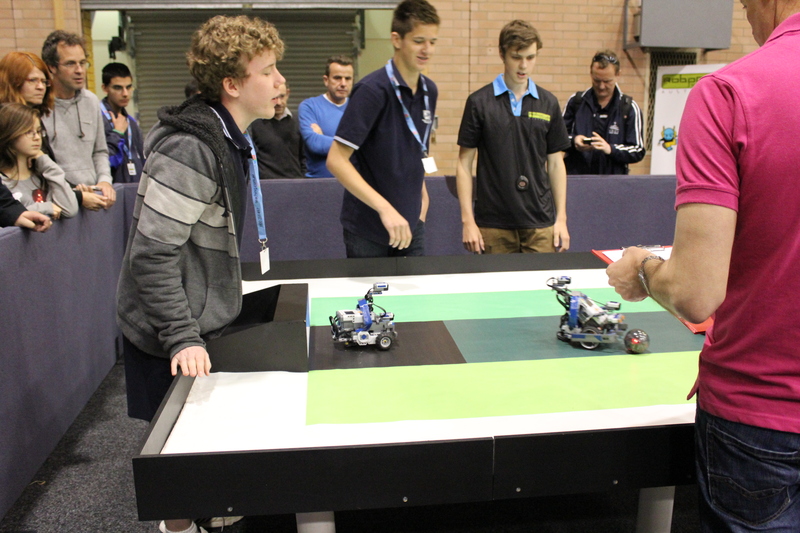 Year 9 NBCS students with Team YDK were crowned RCJA (RoboCup Junior Australia) NSW Junior Robot Soccer Champions in August at UNSW and qualified automatically to enter the Australian Open. 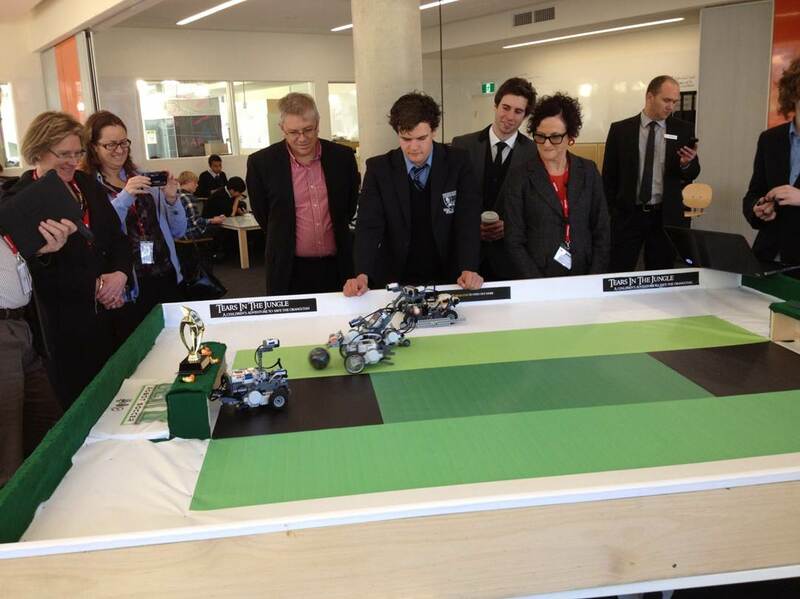 Year 10 students were also encouraged to enter the competition due to the high levels of Artificial Intelligence programmed into their Botteroos robots. The RCJA Australian Open took place from September 21-23 at the ANU (Australian National University) in Canberra. The NBCS students (and robots) were well supported by family members who enthusiastically applauded their efforts over the week-end. Team YDK (NSW champions) started the Saturday qualifiers with 2 wins but narrowly lost their 3rd game 4-3 and missed out on a favourable draw in the finals on Sunday. In the Round of 16 game, they scored all the goals in a closely contested 5-3 loss and so their wonderful adventure ended. Team YDK students were all Year 9 students: Ellis Abrahams, Matt Evangelidis, Tim Mason, Ben von Stebut & Louis Wagstaff. The Botteroos rebranded their image to become Team R2D2. They had a tough start against The Dream Team from Trinity College Collac, Victoria but bounced back to beat the Queensland champions 5-0 in their second game. They won their final game on Saturday to qualify for the knock-out finals on Sunday. Just like Team YDK, Team R2D2 scored all the goals in a 5-3 Round of 16 game but fortunately they scored less own goals and so progressed to the Quarter-finals where they beat a Victorian team 10-4. The semi-final was a rematch of their first game against The Dream Team and despite losing, they showed significant improvement since that first game which was very encouraging. The real bonus from finishing as a semi-finalist was announced during the awards ceremony when they were officially invited to participate in the World Robotics Olympiad as one of Australia’s representatives in Jakarta next November. 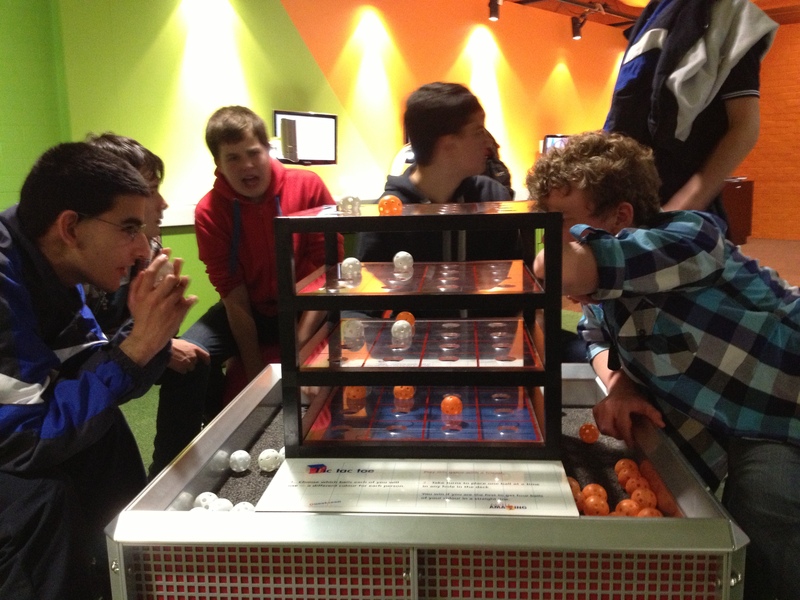 RCJA hosted a social evening for all the contestants of the Australian Open at Questacon. 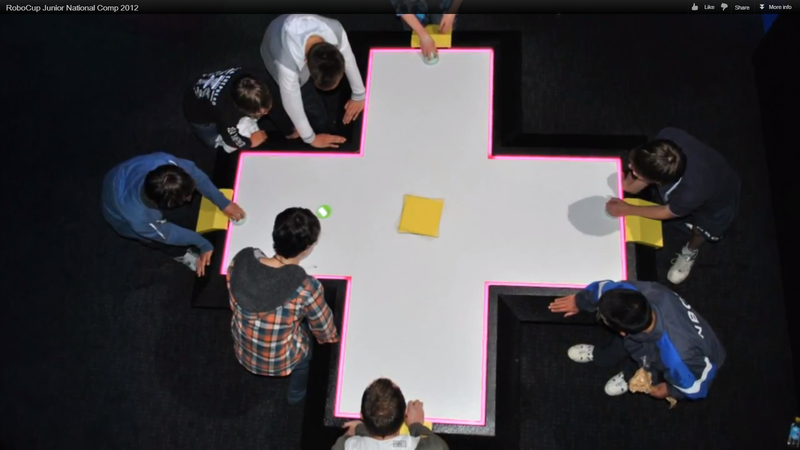 NBCS students particularly enjoyed trying out the 3D Tic-Tac-Toe and the 4-way Air Hockey. Back at NBCS the Robot Soccer Table, built by Ben Pridmore, has proved a hit with the many visiting educators when their tour takes them through the Design Studio in the Greenway Centre for Design & Technology. The problem of how to store the table was solved by some creative design thinking. The table will remain in the Design Studio but Ben and the Support Services team are in the process of building three separate tops to cover the table. 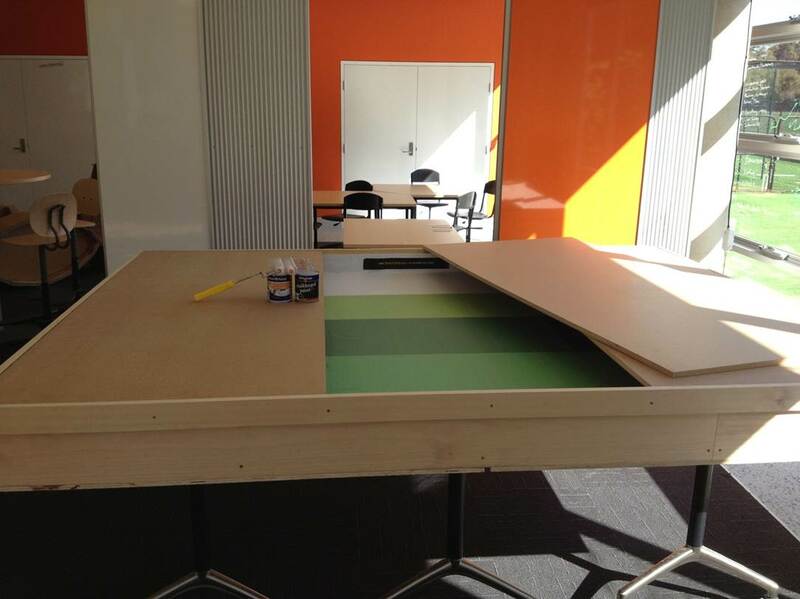 Each table cover will have a different surface on either side allowing the flexibility to turn the Robot Soccer table into a cutting surface, whiteboard table, chalkboard table or a combination of surfaces. This will also allow quick and easy access to Team R2D2 to prepare for WRO 2013 in Jakarta while also allowing other Design uses for the table as needed. Sponsorship is available for the Robot Soccer Table walls. All proceeds will go to NBCS Mission. For details, contact Liam Dunphy at NBCS.